PaperPlanes is a luxury stationery design and visual styling label, perfect for every stationery lover who likes their stuff with classy details. Based in the culturally rich city of Jaipur, their work resembles the rich Indian culture with intricate designs and stunning patterns. Curated with fine printing techniques, their products range from beautiful stationery sets and handcrafted bookmarks to rich leather journals with brass covers and wedding invites so pretty that no guest can say no! Don’t waste time searching for valuable gifts. 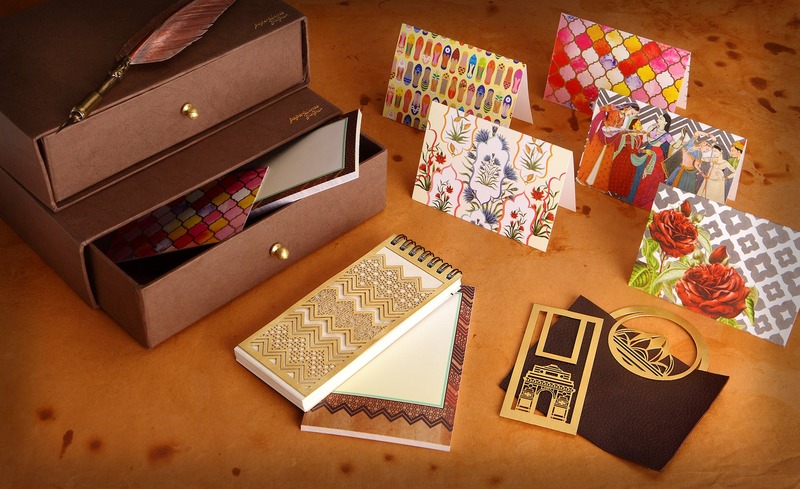 With such beautiful designs, their products are perfect for gifting purposes, especially to stationery lovers. You can buy them at a steal deal at LBB Specials! They are currently available at Ishana, at Indira Gandhi International Airport, select Crossword stores across India and a couple of boutique hotel properties in Jaipur. You can visit their website for more store details. You can also shop their products online on Jaypore and Nykaa.